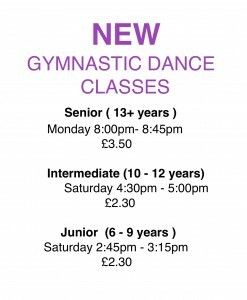 Cardwell Theatre School » What’s New !!! 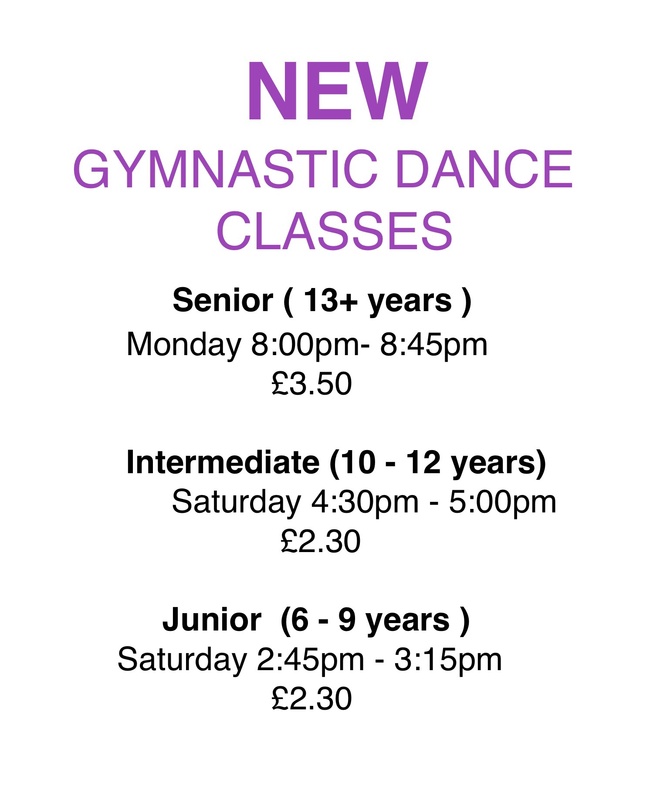 Thomas Matthews for successfully auditioning for The Northern Ballet School, Doreen Bird College, London Studio Centre, Urdang and getting a second audition for the Central Ballet School. 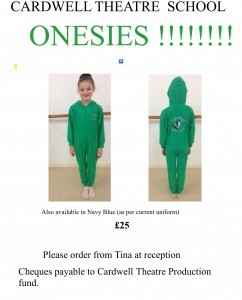 Also to Emily Gardiner for successfully auditioning for Laine Theatre Arts. Both will be leaving us in September and they will be greatly missed! Posted in What's New !!! | Comments Off on Audition Success! Posted in What's New !!! 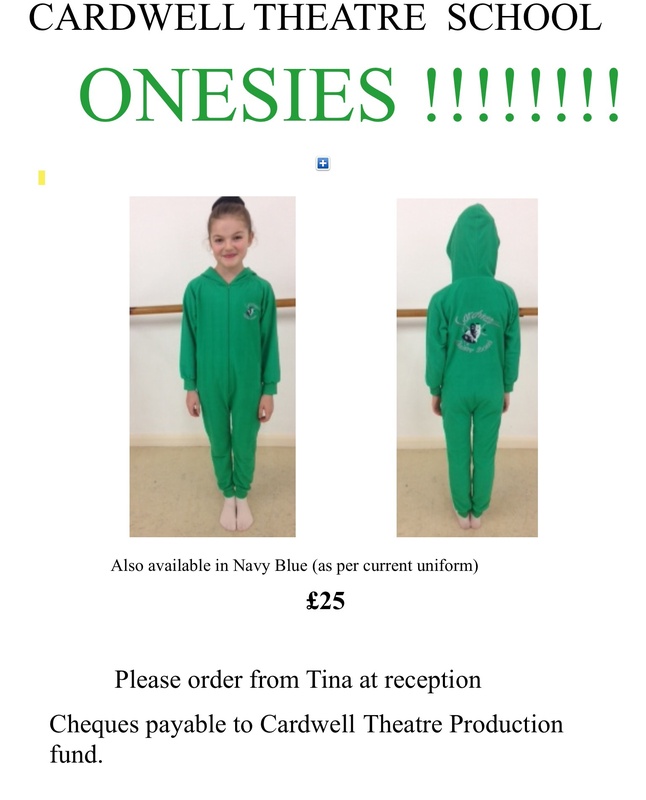 | Comments Off on Cardwell Theatre onesies !! !